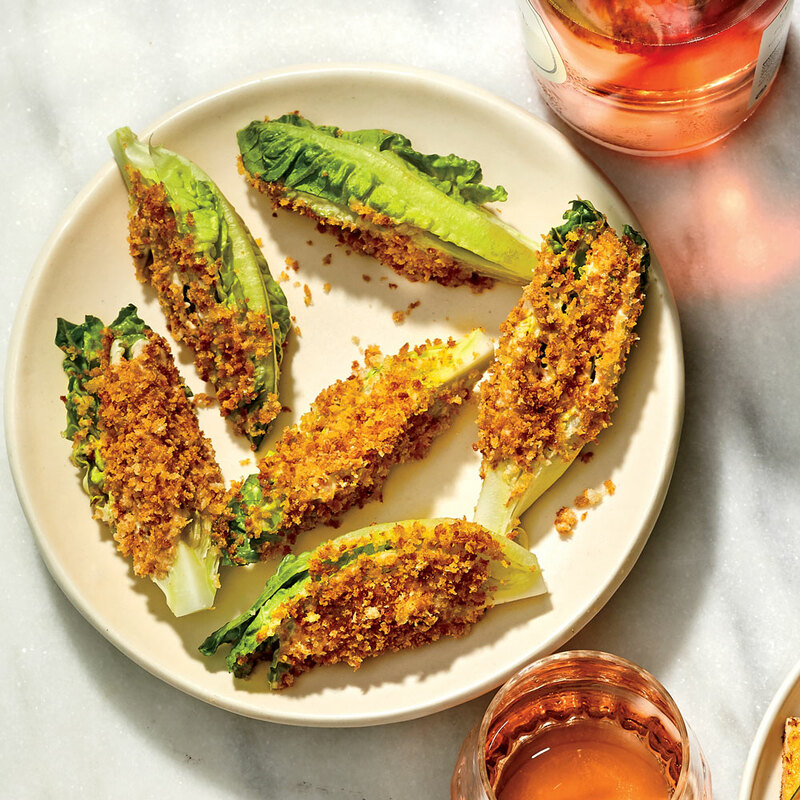 These mini wedges are coated in a creamy, anchovy-packed dressing and dredged in crunchy panko, making them easy to eat with your hands. Alternatively, you can serve the dressing and breadcrumbs alongside the lettuce wedges, for easy dipping. Combine mayonnaise, anchovies, cheese, vinegar, mustard, and garlic in a food processor; process until smooth, about 45 seconds, stopping to scrape down sides as needed. Transfer mixture to a bowl; season generously with salt and pepper. Refrigerate, uncovered, until ready to use. Heat olive oil in a medium skillet over medium until shimmering, about 2 minutes and 30 seconds. Add panko; cook, stirring occasionally, until lightly browned, about 5 minutes. Season with salt and pepper. Transfer to a small baking sheet; let cool 10 minutes. Stir in chives and lemon zest. Using a small offset spatula, spread anchovy dressing over cut sides of lettuce. Dredge in panko mixture. Transfer to a platter or board, and serve. Store dressing in an airtight container in refrigerator up to 5 days.